Fake Plastic's very own Fr. Jones and Bobby Markle shoot the breeze with Ernest Greene of Washed Out about bigger hooks, intimate moments, layered vocals, and the popularity of the chillwave movement. 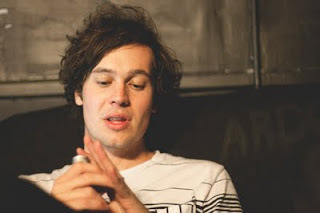 You can find the review here of Washed Out's Within and Without. FR: When you started recording as Washed Out, was there a moment where you realized that you had attained a significant level of success? EG: I guess that depends on how you define success. For me, that was just having enough attention to get an offer to put a record out. That was all I ever really dreamed of doing. That happened fairly quickly after the initial attention I got. That was back in 2009. I think of the day I got the shipment of records from my first release. It was like Christmas morning or something- it was really cool to be able to open up the record, put it on the record player. Everything since then has been icing on the cake and it has definitely far exceeded my expectations as to where I saw this stuff going. FR: What was your goal for the Within and Without album? How do you think your musical vision on this record is different from your earlier EPs? EG: Well, I had a couple of years experience under my belt since making my first couple of releases. I definitely learned a lot and kind of wanted to follow through with that in the recording. I knew that I wanted to take a step forward away from some of the stuff that I had done. That meant changing things a little, cleaning things up, having just a more produced sound. I knew that I wanted the songs to be bigger and make for a more entertaining show. So I was consciously trying to write songs with bigger hooks or whatever. That was much different too. The reception I think has been pretty good. We have been on tour in Europe and we’re about to go on tour again in a couple weeks with this Australian band called Cut Copy. We are going to be pretty busy for the rest of the year. FR: Do you listen to any Cut Copy? EG: Yea. I’ve been a fan of theirs for awhile. I know that their live show is a pretty big production- so we look forward to learning something from them. They’ve been at it for a little longer than we have. FR: How did the recording process for Within and Without take? EG: About six months. I had done touring for most of the beginning of 2010. I got finished in June and was fortunate enough that my wife’s family has a lakehouse in rural Georgia and we were able to set up shop there. I worked through the rest of the summer and into the Fall and had most of everything written and very strong demos recorded by mid-November and then I emailed with this producer here in Atlanta named Ben Allen. We had kind of talked some before- but he had some time in December to get together so we went on a short tour for the rest of November and beginning of December and came back and finished the record at the end of December. So six months total. FR: What type of software do you use? Do you have a favorite piece of equipment? EG: I wrote most of the record with software and it was a combination of a few programs. The first one is called Reason. It’s made by this company called Propellerhead. I’ve used it for a number of years and I’m really comfortable using it. And in the latter stages, we used Pro Tools- which is kind of an industry standard these days. That’s something I’ve been using more and more. It was mainly those two programs. As far as hardware stuff- I’m looking around the room to see which to pick out, I’m sitting in my studio right now. I’ve got the Nord Electro which is pretty cool. It kind of emulates a lot of old instruments, like electric piano and organ sounds. It’s a lot of fun to play and has a pretty authentic sound. FR: What is the story on Within and Without’s highly memorable cover image? Is it reflective of the music in any particular way? EG: I think it’s a reflection of the music definitely. We were touring around Australia as I mentioned in late November, early December and I finished most of the record and I actively had my eye out for a cover image. I was looking through this avant-garde photography magazine and stumbled across the image. It really made sense to me on a number of different levels. The first was that most of the artwork for my previous records was very saturated with colors. I wanted to do something drastically different with both the art and the music. So it made sense to do the opposite of the saturated colors that to me was this stark white, clean kind of look. Again, I think that kind of mirrors the aesthetic of the music and the change in the music- a move to a cleaner, stark sound. Also, just the content of the image, I thought made sense. To me, the record is a collection of intimate moments. I don’t write with particular memories in mind- but I do write following a type of feeling the music will conjure up. So at the core I think it’s emotional music. And to me, the image is an intimate moment in a completely nonsexual way- more of a romantic kind of thing. FR: You recently performed a dynamite cover of Chris Isaak’s "Wicked Game". What in particular drew you to that song? EG: I’ve been a fan of the song for awhile. I think the biggest thing I liked was the chorus. Really all the vocals and melodies easily translate into my world- the long, sustained, breathy type of delivery. When I’m considering doing remixes and covers, it all just has to translate. It’s hard sometimes to make that work but this song was very easy. After figuring out the vocals, it was very easy to work through and get everything else right. It’s funny- we performed that for a session at XMU, the Sirius Radio Station. We weren’t sure… we hadn’t been notified that we had to do a cover and that was a big part of the session, they always asked artists to perform a cover. So we were kind of scrambling the day before to get something together- we were a bit nervous recording it. But I think it turned out fine. FR: It really showcased your voice. And that’s something that intrigued a lot of people. It doesn’t really get featured on your albums that much. EG: Yea. On the records, I tend to layer my vocals quite a bit. So it does get kind of lost in the mix. But I’m starting to get more comfortable with my voice- especially with the live thing. It’s impossible to do all that live, so it’s being a lot more out in the open. FR: We recently spoke with Travis from Pictureplane (link) and he mentioned touring with you some time ago. What was that like? EG: It was a lot of fun. It was actually the first tour I had ever done. And so- it was a lot of fun doing it with him. There was another band, Small Black- who, at the time, were sort of playing as my backing band. He’s a great guy. He’s easily the life of the party in any situation. It makes for a very fun touring experience. A lot of times if you don’t have a personality like that on tour, it just gets kind of monotonous- even boring at times, doing the same thing over and over. But you can always depend on Travis to find the craziest situation happening in that city and then finding yourself right in the middle of it. FR: He can cut a cool video too. FR: The word is that you are currently experimenting with 70s soft rock- is that something we can expect on future releases? EG: I’m not sure at this point. That’s definitely something I’ve been into and we’ve done a couple of sessions where we sort of translated some Washed Out songs into that type of sound. It’s something I enjoy doing. But it’s also a bit frustrating that we’ve been so busy, there’s little time to work on studio-type productions. We have a break in December so I’m going to start doing a little recording then. That sound is definitely in my mind but it’s hard to really follow up on anything when there isn’t much time to do it. FR: In the past, you and Chaz from Toro Y Moi often get lumped together- because of the Columbia, South Carolina connection and of course the chillwave movement. How do you feel about this? How do you explain the popularity of chillwave? EG: As far as the popularity of the chillwave movement, it’s really kind of hard to understand. Number one- there was a lot of different genres coming together which might expose listeners that might not have listened to indie rock before, they might like it because it has a hip hop influence or electronic influence. There’s a little bit of that going on. And also at the core, I think the music is pop music or at least leans in that direction. Most of the songs are meant to be happy, go-lucky or enjoyed on a simple level. But Chaz is a good friend of mine. I actually have him to thank for haphazardly getting my music out there because he had me featured on his MySpace page as his top friend and that’s how a journalist kind of discovered my music. I definitely owe that to him. Unfortunately we rarely get to see each other because we are always on different schedules with our albums. But when we do get to hang out, it’s always super fun. FR: Where do you see the music industry going in the next decade? EG: It’s really hard for me in particular to kind of predict that because I still consider myself very new to the business. But I certainly felt like I’ve come up as a child of the internet and that’s kind of influenced my way of thinking. And there’s no doubt that file sharing, blog culture, and all that has shaped the way the business works. But I do think that it seems like Spotify is a viable way of potentially charging people for music again. My record has actually done fairly well over here in the States. We’ve sold almost 40,000 copies since the release. So there are people who go out and buy records. But 75% of those sales or roughly around that are digital sales- so there’s no doubt that digital is the future whether it’s iTunes or some kind of streaming service. It’s hard to predict. There’s no doubt that the physical copy will lose it’s popularity if it hasn’t already. EG: My advice is to keep recording. If it’s music that you’re into and songwriting, just write as many songs as you can because it’s through that process that you really start to do your own thing and create your own sound. I think it takes a long time to do that, so be patient. I think the power of the Internet has leveled the playing field a bit. You don’t have to have a lot of money to put into promotion or anything. If the song is good, there are chances you can put it in front of people with the Internet. And if it’s good enough, it will rise to the top. So be patient and work hard.